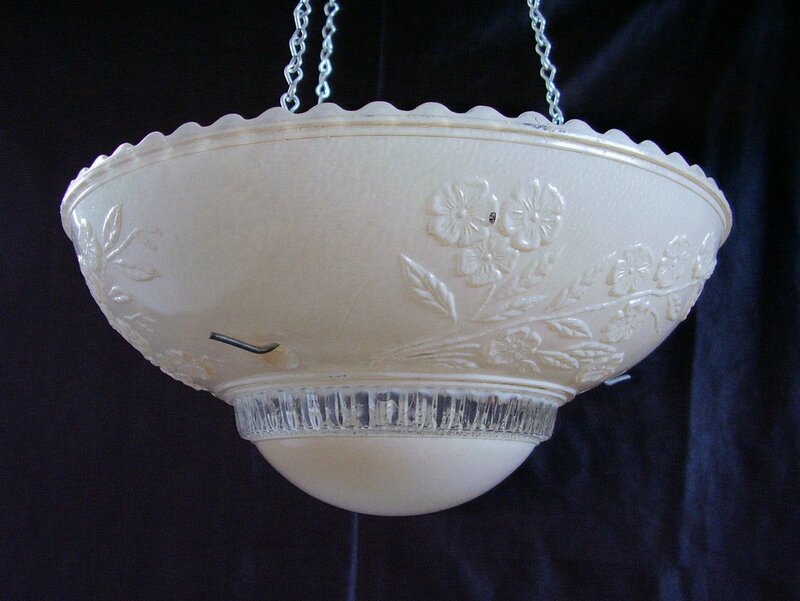 Art Deco glass ceiling 3 hole light shade. Clear glass with frosted pink. This shade features three lovely floral designs or sprays. The center section which is rounded in design is frosted in pink. The rim is gently scalloped . 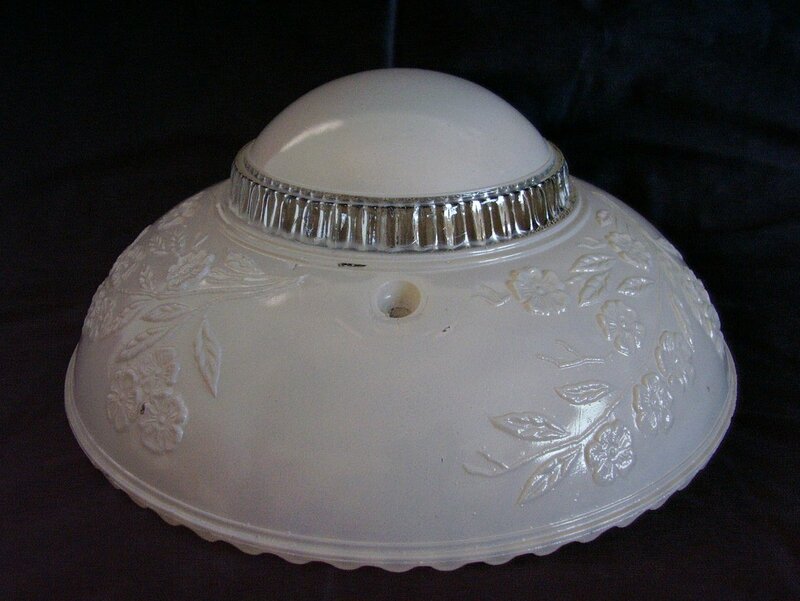 Art Deco glass ceiling 3 hole light shade. Clear glass with frosted pink. This shade features three lovely floral designs or sprays. The center section which is rounded in design is frosted in pink. The rim is gently scalloped . There are several surface scratches on both the inside and outside, does not detract from the shade.The rim feels rough but no evidence of cracks or chips. 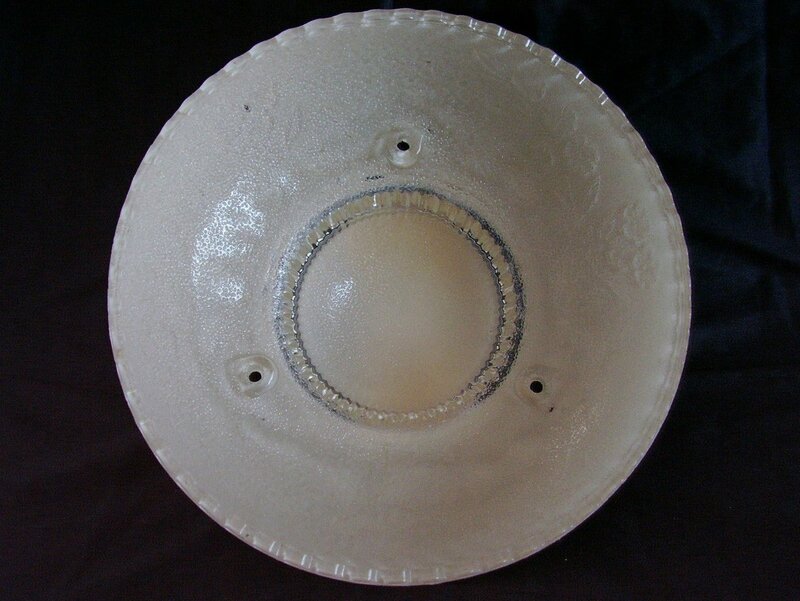 The area of the 3 holes shows the typical chipping inside from the manufacturing process. As you can see from the photos, there are three holes for chain or rod attachments. 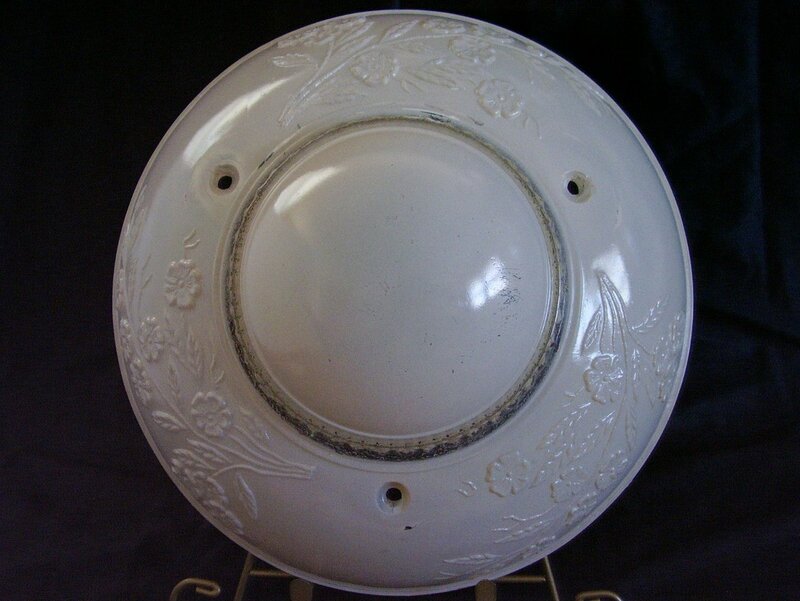 This Art Deco beauty measures 10 3/8 inches in diameter and is 4 1/4inches tall. Chains and fixture are not included.